Customer call centre nirvana looks a little like this: the call-to-staff ratio is calculated perfectly so that the incoming queue is non-existent, but your staff are always on a call. In call centre nirvana, your staff always put the customer first and it shows through your exceptional first call resolution rate. Everyone is happy. Your staff feel valued and are efficient, your customers are content and loyal and you are enjoying regularly exceeding your sales targets. Instead, putting the customer first means actively listening to them, tailoring responses to their very personal needs and creating rapport with them. Putting the customer first means being invested in their success, not just getting through the phone call as quickly as possible to improve your ‘time on call’ rate. Putting the customer first means serving them, not just servicing them. 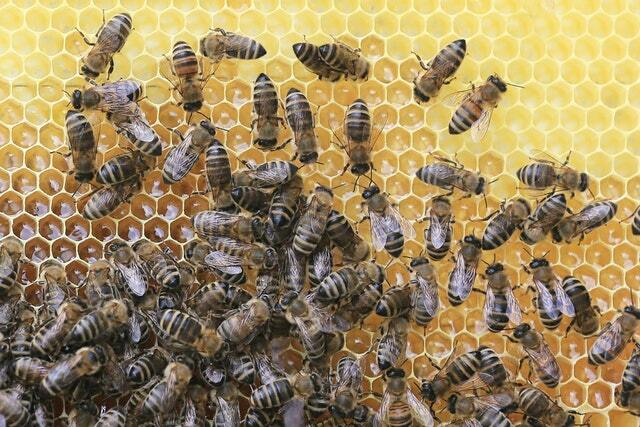 Your staff should be the worker bees trying their hardest to serve your customer queen bee. To serve you customer first, you must serve your staff. To serve customers well your agents need to be empowered to make quick decisions; to replace, to refund, to credit or to reward. Your staff need to feel they have the endorsement and trust of the business to take actions that will serve the customer. There are many ways you can empower your staff. If, as a manager or supervisor, you want your agents to serve your customers you must first serve the agents; putting in place the tools and systems they need to succeed. These values tell your agents the types of behaviours you’d like to see. To turn these values into something more tangible for agents, translate them into KPIs that encourage servitude and knowledge-sharing behaviours. How many discounts have they offered? How often do they post questions or answers to your Wikis or forums? How often do they attend information sessions? What are their customer satisfaction rates? What is their call handling time? Technology has a big part to play here. Agents need to understand immediately who they’re talking to in order to personalise the call. They also need quick access to product information if they’re unsure of a solution, and to be able to contact a supervisor for permission to provide a refund or reward to a customer. Examples include screen pops that immediately bring customer details to the screen as a call is answered, or chat functions so that agents can ask a question of a product specialist or supervisor without putting the customer on hold or transferring them. Good customer service should be rewarded. Let your agents know you value the time and effort they put in to servicing your customers. Rewards can be monetary, but they don’t have to be. Vouchers, a free lunch or even a massage therapist to provide neck and shoulder massages while they work. Your agents will have bad days. No matter how much they embrace servitude, some customers are never going to be satisfied. It can be exhausting sitting at the end of a torrent of unhappiness. If an agent has a hard call, let them know it’s OK to step away from the desk for a moment and take a breath, make a cup of tea and reset so they can start again with the next caller. We talked earlier about how values and KPIs set the standards for the types of behaviours you want to see. Well, here is an example of how one set of KPIs shot a council in the foot. An Australian city council highly valued the calls they would get from residents letting them know that a tree was down or there were potholes on certain roads. It meant they had a community of people as their eyes and ears so they could keep track of things to be fixed. The problem was, they didn’t serve these residents. Instead they made life hard for them. Their agents were required to record the names and addresses of every caller; no matter how small or big the issue was they were calling about. If they didn’t, their call stats would be skewed and they wouldn’t receive their bonuses. And so instead of serving customers, thanking them for the tip-off and letting them go on their merry way they harangued callers. They asked them their names, their phone numbers, their addresses. Not surprisingly the callers were often unhappy to provide so much personal information on a courtesy call and so many callers stopped helping. And the agents stopped achieving their goals. In an ideal world the agents would be given the power to decide how best to serve the customer and not be penalised for looking after the customer’s best interests. When you serve your agents and your agents serve your customers, your customers will ultimately serve you through their loyalty.